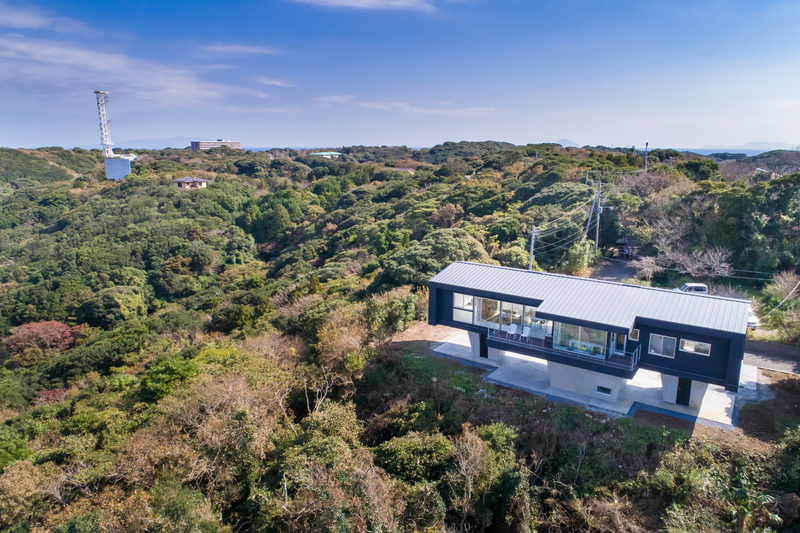 The site the client had found was on a hilltop with a panoramic nature view in Izu Peninsula. 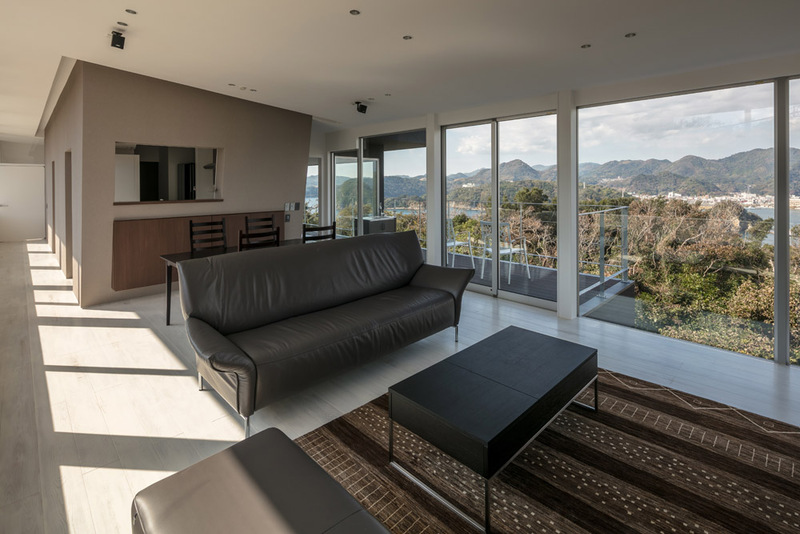 The living space needed to be raised onto the second floor level in order to enjoy the ocean view. 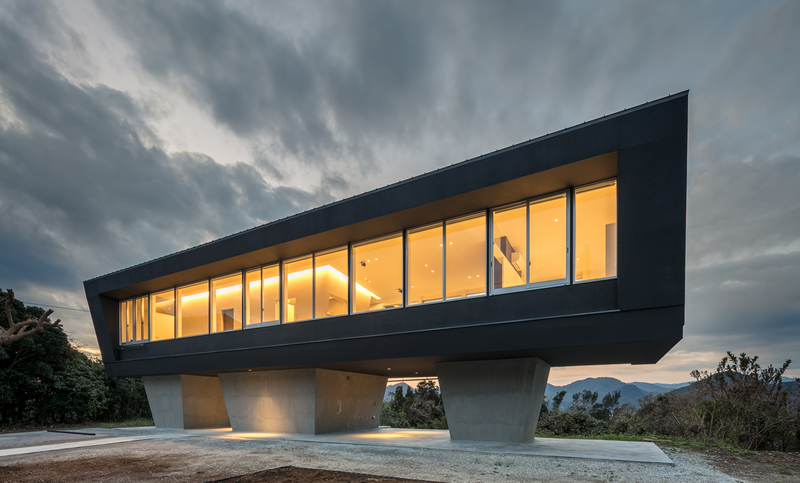 The house was designed to place a transparent structure on rock boxes which look like fortresses. 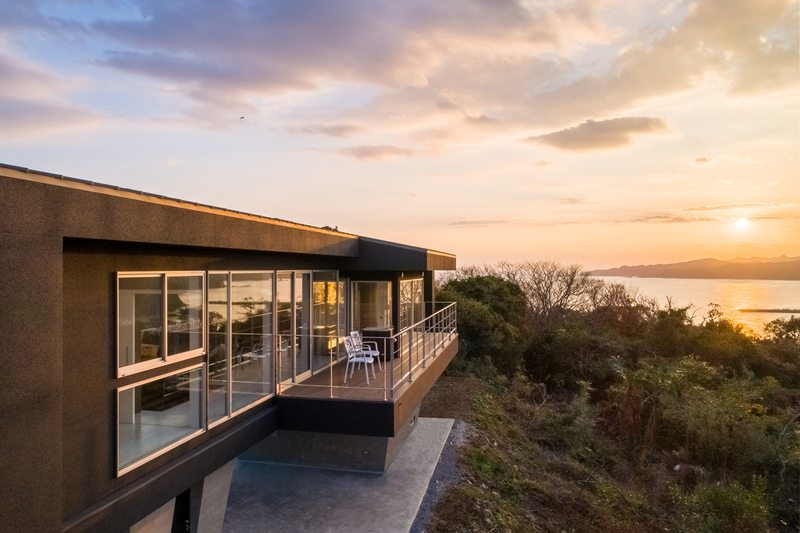 On the second floor, you can see the sky through the glass panels, whereas on the first floor, the eyes are lead to the greenery peaking between the rock boxes. The rock boxes on the first floor are utilized as the entrance and storage space. The den is situated halfway up the stairs and the height of the desk in the den is on a level with the height of the balcony floor, which allows you to enjoy a different view from the lower-than-the-ordinary viewpoint. On the second floor, both sides - facing southeast and northwest - of the walls are glass-sided, providing a panoramic view of the rise and fall of the sun as well as the change of seasons. 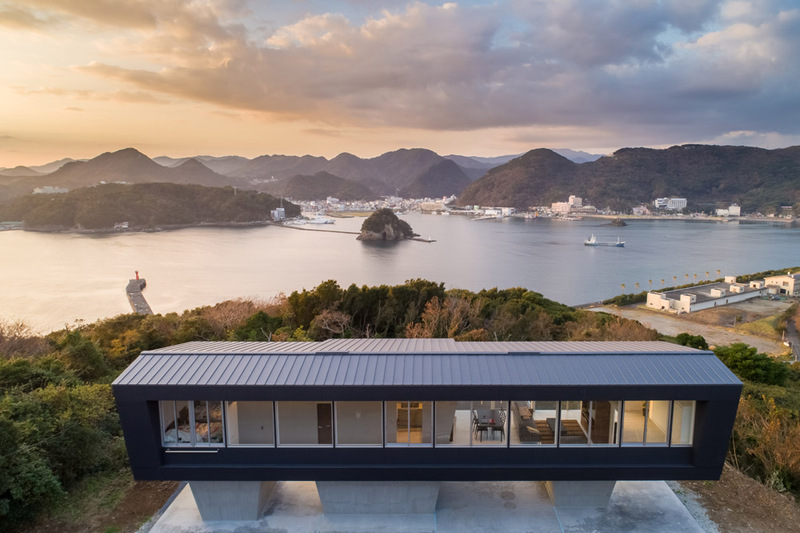 The private area of the house is located in the center, away from the windows at both sides, ensuring that essential facilities for living would not obstruct the great view. 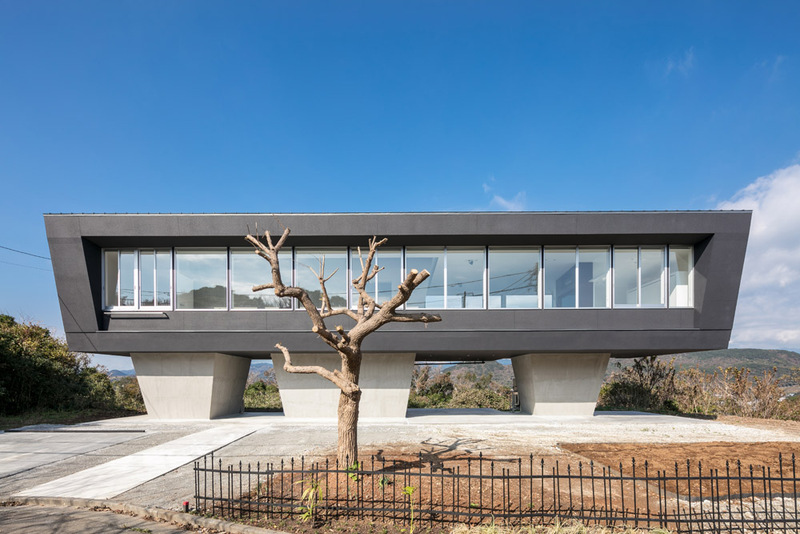 Copyright (C) 2015 Hiraoka Architects. All Rights Reserved.